At 5 am the bus picked us up in Antwerp. 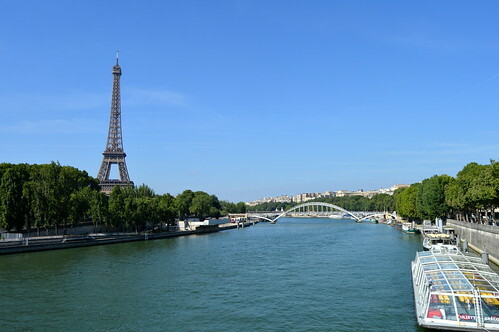 After a pleasant and smooth drive, the bus dropped us aff at the Bateaux Mouches where we could start our daytrip at about 10 am. 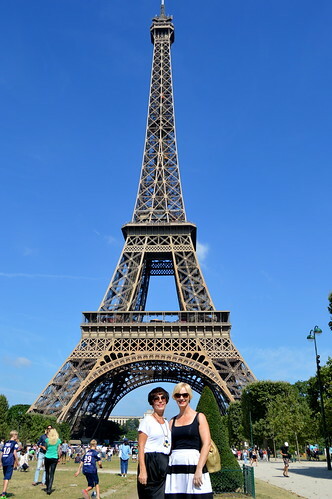 Now I had let my daughter decide what she wanted to do : go up on the Eiffel Tower or go up on the Tour Montparnasse. 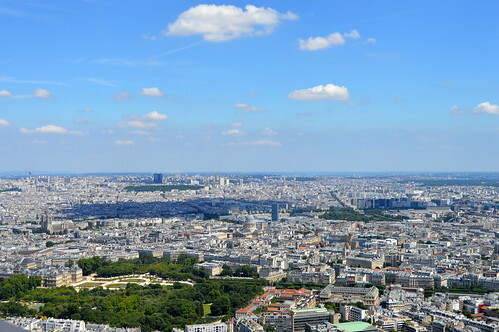 At first she wanted to go up the Eiffel Tower, but after she saw a picture of the view you’ve got from Tour Montparnasse she changed her mind… Because the view from Montparnasse shows Paris in all its beauty… including a view of the Eiffel Tower! 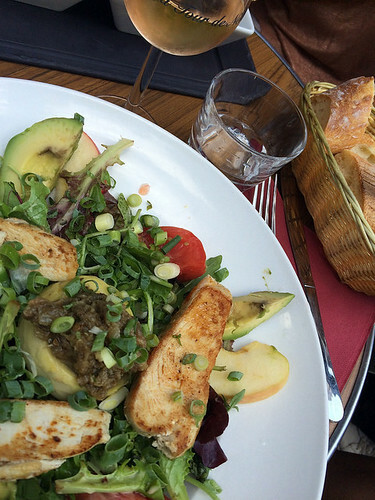 As we were already up at the crack of dawn, everybody was feeling hungry, so we first had an early lunch in one of the quieter streets of the Monparnasse neighbourhood. We enjoyed our salad or pasta and a lovely bottle of rosé (for the 18+ that is!) 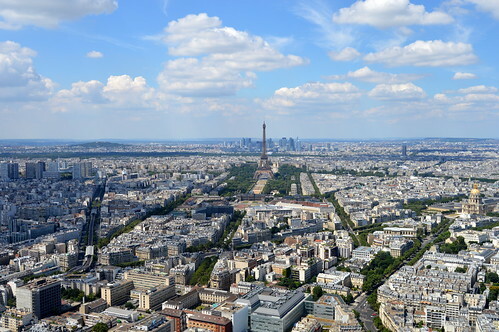 and with a filled stomach, we continued our walk to the Tour Montparnasse. As I had booked our tickets beforehand, we only had to wait just a bit before going up Europe’s fastest elevator… The building was built in the early seventies and is actually just plain ugly… but the panoramic view you get from the observation deck is simply stunning… It is the only point in Paris where you get a 360° view and on a clear day you can see 40 kilometres far!! 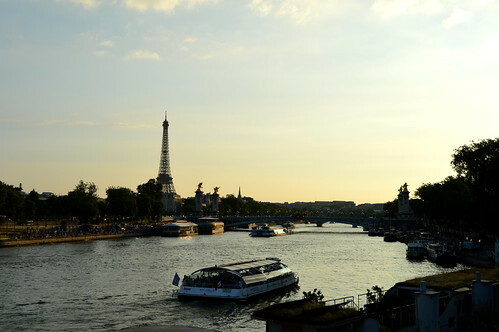 On this picture you can see just how big the Louvre actually is! 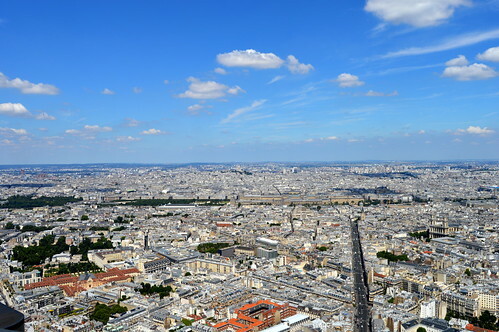 In the background (on the left side) you can see le Sacré Coer. 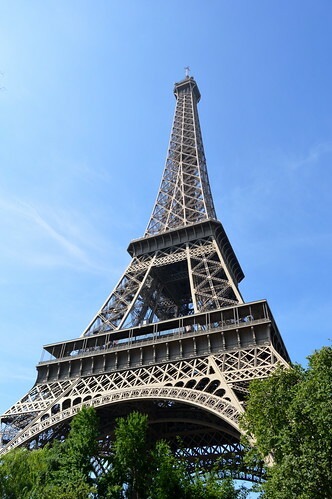 Next week I will tell you more about our visit to Montmartre so I’ll see you soon here on ‘the good, the fab and the lovely’! 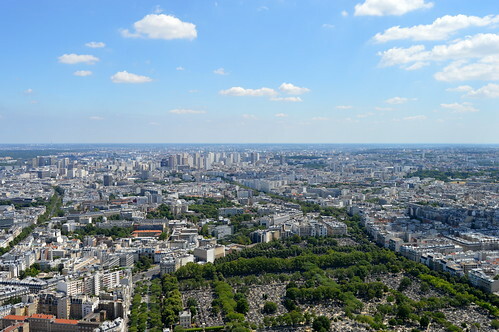 On the foreground you can see Cimetière de Montparnasse. 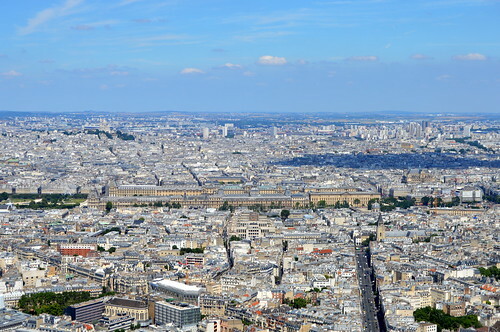 Below left you can see Jardin du Luxembourg and a bit higher you see Notre Dame. 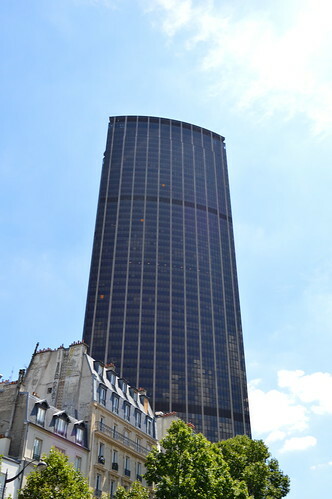 Tour Montparnasse on a hot and sunny day. 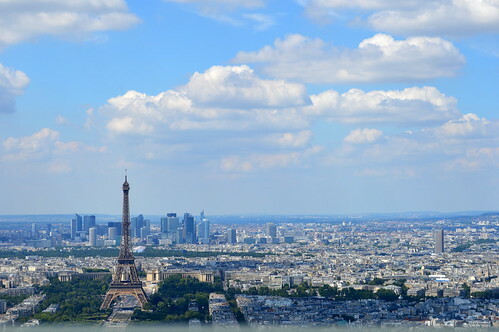 This entry was posted in France, Travel and tagged citytrip, eiffel tower, panoramic view, Paris, tour eiffel, tour montparnasse, Travel, trips. 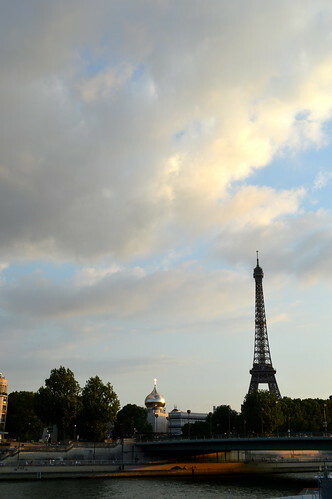 Paris is Always a Good Idea …. Leuke post ! ja toch 🙂 verveelt me nooit… ik tel al af naar een volgende keer… Groetjes! 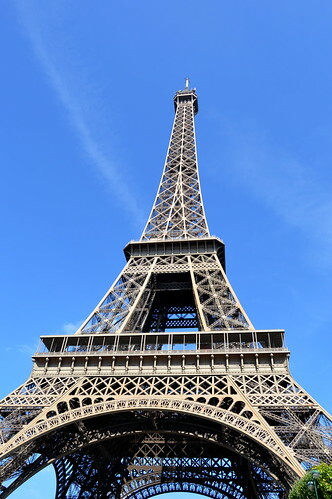 Ik hou ook zo van Parijs! 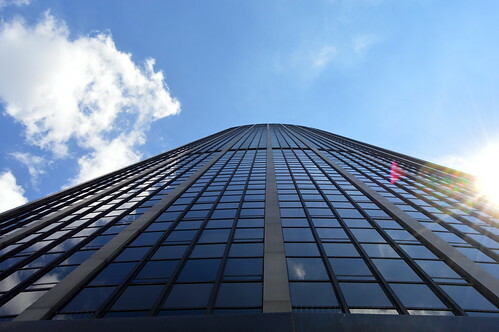 Tour Montparnasse zal ik wel nooit nog doen. Dat vond ik verschrikkelijk duur voor wat het maar was….